Mr. Balint’s practice focuses on class action litigation, qui tam actions under the federal False Claims Act, insurance coverage and defense matters, and civil appellate work. He has represented clients in numerous class lawsuits involving federal and state securities laws, deceptive insurance sales practices, and other consumer claims. Case results depend, of course, upon a variety of factors unique to each case, and neither the firm nor Mr. Balint can guarantee or predict a similar result in any future case undertaken by Mr. Balint.Mr. Balint served as co-counsel for the Lead Plaintiff, the Policemen’s Annuity and Benefit Fund of Chicago, and a class of shareholders seeking relief under Section 10(b) of the Securities Exchange Act of 1934 and Rule 10b-5. In re Apollo Group, Inc., CV-04-2147-PHX-JAT (D. Ariz.) was one of only six such cases to have been taken to trial since the passage of the PSLRA. In Grant v. Arthur Andersen, Mr. Balint acted as co-lead counsel in class litigation that lead to the recovery of over $250 million in losses for investors in the collapsed Baptist Foundation of Arizona. In Facciola et al v. Greenberg Traurig, LLP et al, Case No. CV-10-1025-PHX-FJM (D. Ariz.), Mr. Balint was instrumental in achieving class settlements aggregating in excess of $88 million on behalf of investors victimized in the financial collapse of Mortgages Ltd. and Radical Bunny, LLC. Mr. Balint served as counsel for the relator in Todarello v. Beverley Enterprises (D. Ariz. & N.D. Ca. 2001), a qui tam action in which the United States Government recovered $170 million and his whistleblower client obtained an award of nearly $30 million. Appellate decisions Mr. Balint has successfully briefed include: McKay v. Juszkiewicz, No. 1 CA-CV 06-0126 (Ariz. Ct. App. 2007) (attorneys’ fees awards in adverse possession cases); Miller v. Young, No. 1 CA-CV 04-0247(Ariz. Ct. App. 2004) (conspiracy to commit fraudulent conveyances); Miller v. Young, No. 1 CA-CV 95-0132 (Ariz. Ct. App. 2003) (statute of limitations); Atchison, Topeka and Santa Fe Ry. Co. v. Brown & Bryant, Inc., 159 F.3d 358 (9th Cir. [Cal.] 1998) (federal Superfund liability); Taylor AG Industries v. Pure-Gro, 54 F.3d 555 (9th Cir. [Ariz.] 1995) (federal preemption under FIFRA); Bodine v. Bruno, No. 1 CA-CV 95-0132 (Ariz. Ct. App. 1996) (reversing entry of default judgment); and Ranch 57 v. City of Yuma, 152 Ariz. 218, 731 P.2d 113 (Ariz. Ct. App. 1986) (government land use regulation). Mr. Balint has on several occasions served as a judge pro tem for the Arizona Court of Appeals’ “Department S” program. 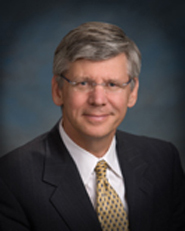 Mr. Balint is a former director (1993-2000) and President (1999-2000) of the Arizona Association of Defense Counsel. He frequently acts as an arbitrator and mediator to assist in the cost-effective resolution of issues without trial. A sole practitioner in Virginia for a short period of time before becoming associated with the Phoenix law firm of Evans, Kitchel & Jenckes, P.C., Mr. Balint was one of the four founding members of Bonnett, Fairbourn, Friedman & Balint. He is married to journalist and multi-media producer Vicki Louk Balint, and has four children.